In case you missed it, the appearance of Dimension X warlord and brain-like alien menace Krang has been confirmed for Dave Green’s Teenage Mutant Ninja Turtles: Out of the Shadows. Now, we don’t know just how Krang will look in the sequel since VFX Supervisor Pablo Helman and producer Michael Bay are still hashing out just where his yet-to-be-determined number of tentacles will be located, but an early look at some of the toys for the film might give us a hint. 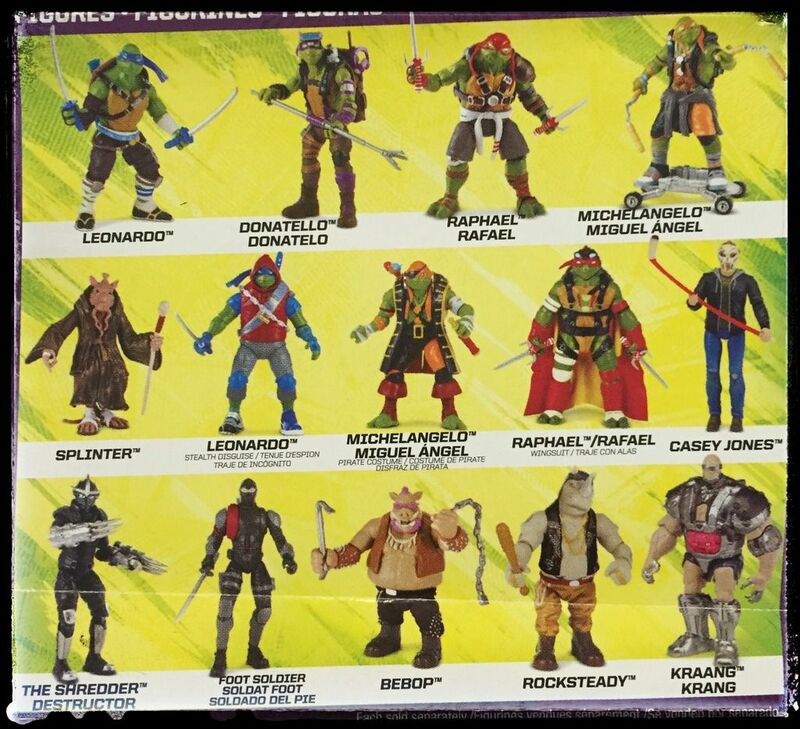 Also on display in this toy collection from Playmates Toys ahead of New York’s Toy Fair 2016 is a look at Krang’s mecha-suit, a stripped-down Technodrome, and even an alternate pirate version of Michelangelo, for some reason*. Teenage Mutant Ninja Turtles: Out of the Shadows features Bebop (Gary Anthony Williams), Rocksteady (WWE fighter Sheamus), Casey Jones (Stephen Amell), Baxter Stockman (Tyler Perry), bureau chief of Organized Crime Rebecca Vincent (Laura Linney), and Karai (Brittany Ishibashi) as the franchise’s newcomers while April O’Neil (Megan Fox) and Vernon Fenwick (Will Arnett) return alongside their Turtle counterparts. *These toys come with the caveat that they may not necessarily reflect what we’ll see in the movie, but can give us an idea of possible character and creature designs. 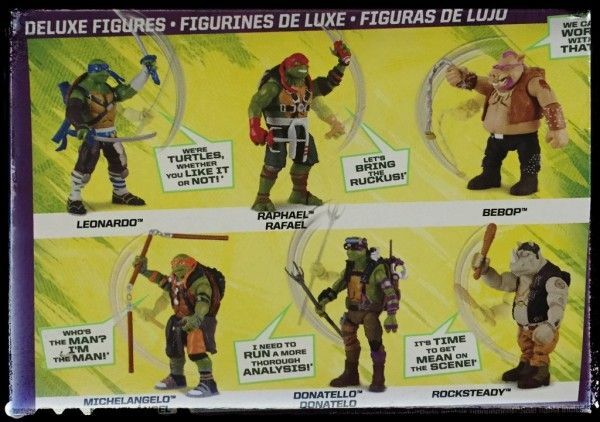 There are a few of things worth noting here: One is that Leonardo, Michelangelo, and Raphael get alternate costumes for stealth, pirating, and wingsuit adventures respectively. 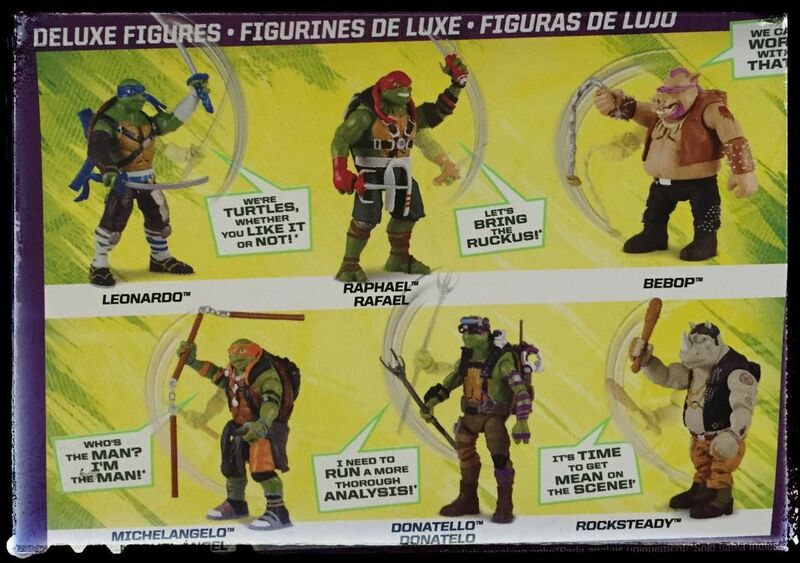 (No love for Donatello, as usual.) Second is that The Shredder returns as “The Shredder Destructor”, which sounds like some sort of robotic form of the Turtles’ nemesis. 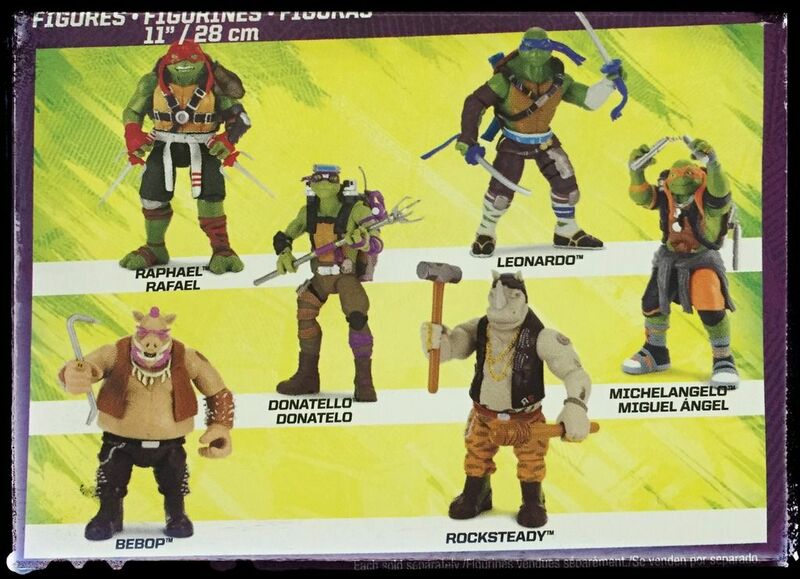 (As a side note, Casey Jones looks drastically underpowered here.) 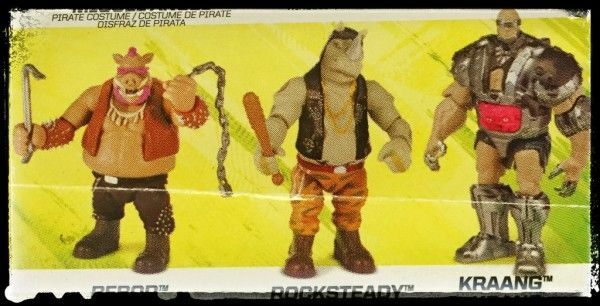 Now, the most interesting thing of note with this Krang toy is that he’s absolutely crammed into that bulked up mecha-bodysuit of his. We’ll take a closer look below. I can’t imagine Krang is too happy being stuffed into the abdomen of a hulking robot man, but at least his offending tentacles won’t be free to ruffle Bay’s sensibilities. 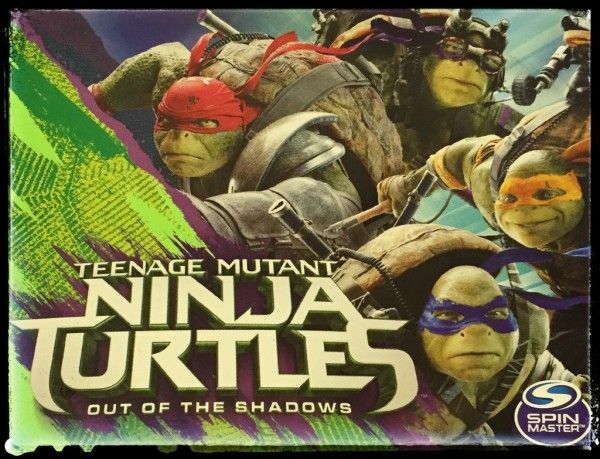 The look on Krang’s face is likely the same as those of you who are trying to figure out just what is going on in this movie. 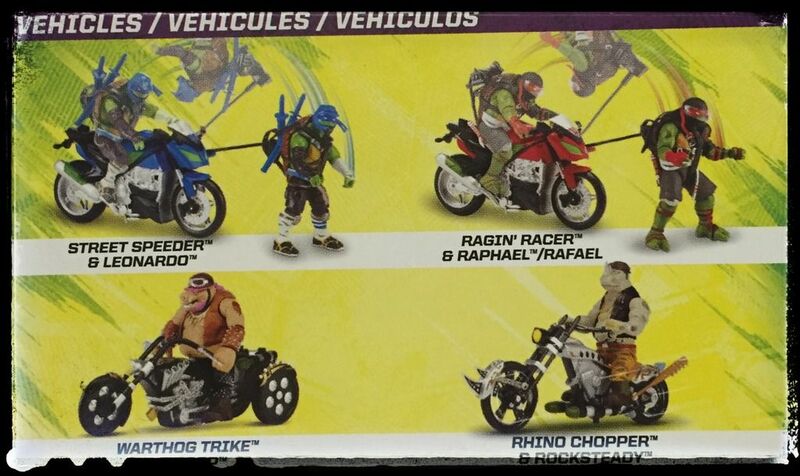 Although the mobile battle fortress known as the Technodrome hasn’t been confirmed for the movie just yet, I hope it looks better than the toy version if it does make an appearance. I was lucky enough to have the previous Technodrome toy as a kid, and while it doesn’t hold up to scrutiny as an adult, it still looks a hell of a lot better than this cheap version seen here. 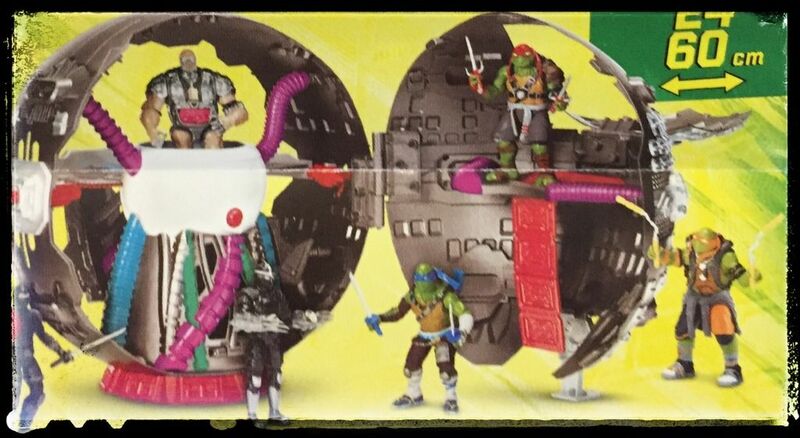 That being said, its design certainly fits in with my theory that the Technodrome – or at least pieces of it – were actually in full view during the film’s trailer.